Print the corn activity sheet out and hand out to the kids in your class. 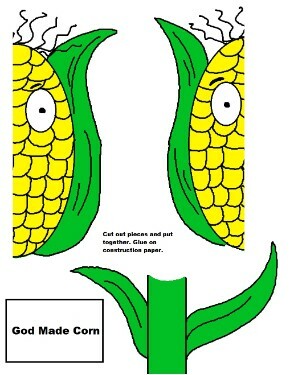 Let them cut out the corn and assemble it onto construction paper. 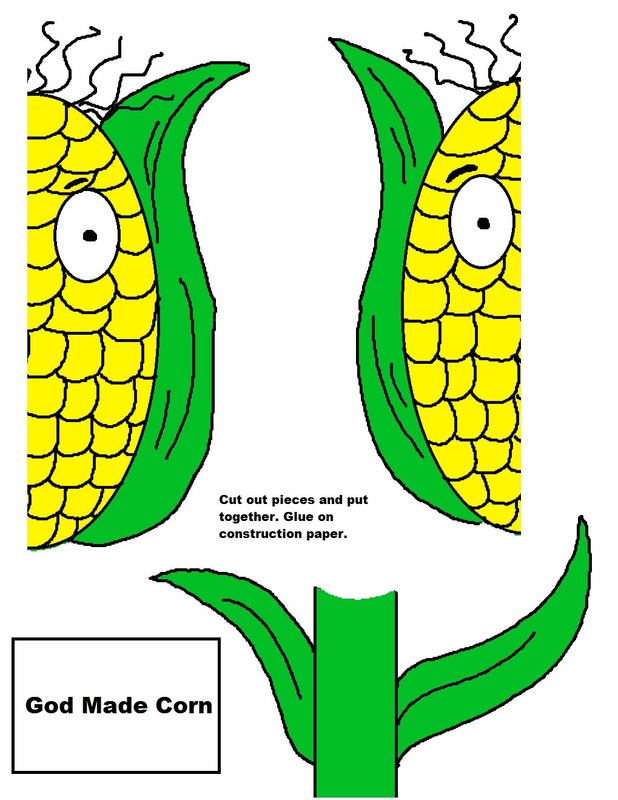 Cut out the square box that say's "God made Corn" and paste it at the top of the paper. Use brown construction paper for fall colors. Use this with our Corn Sunday School lesson. Comes with tons of stuff.